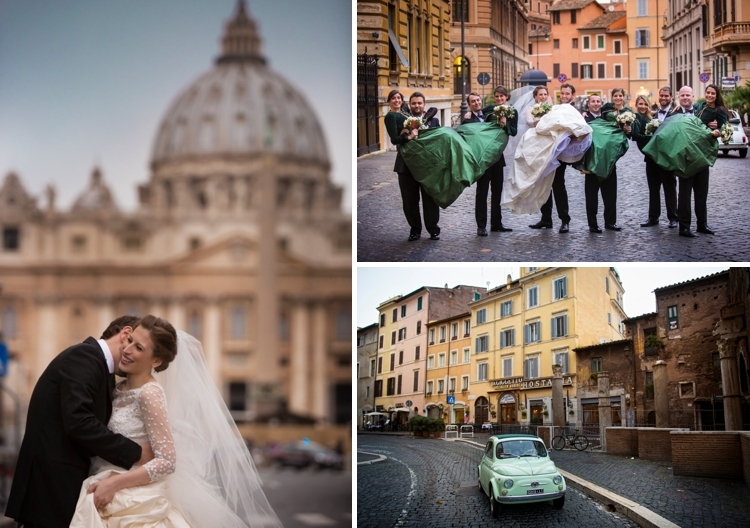 Michaela, the Bride: We got married in Rome for a few different reasons. First, a European destination wedding appealed to us largely because of the far-flung nature of our guest list; we thought we were more likely to have a greater number of those near and dear to us if we chose a midway point for many people. Because Zac grew up in Zimbabwe his family and friends mostly live outside of America. I lived abroad for two years–in Israel and in France–and attended a university with a lot of international students, so I also had a lot of non-American friends that I wanted there. 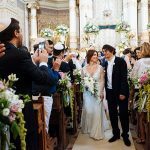 Ultimately, the 135 guests who attended the wedding were from U.K., Israel, South Africa, Zimbabwe, Australia, Hong Kong, France, Austria, other parts of Italy, and obviously, America. We also loved having a destination wedding because being on vacation puts everyone in a good mood and encouraged mixing and mingling among our guests more so than had everyone just gone their separate ways the day after the wedding. When Zac told me that he and a few friends from his squad were planning a trip to Rome for a brief holiday from the army, I organised a friend to join me to meet up with them (I had purely platonic intentions due to an aversion to long distance relationships). At the end of our few days together and right as Zac was departing for the airport, in a hotel lobby at 4.00 am over a shared cigar, he told me that he would be wherever I was and that I was the total package for him. We’ve been together ever since then. Accordingly, because we made our initial commitment to each other in Rome, we thought that it would be meaningful to return to Rome to celebrate our marriage. And finally, Zac and I both grew up in families that engaged in what we jokingly call “synagogue tourism.” If there was an old or interesting synagogue in whatever town or city our family was visiting, we had to stop by–whether for Shabbat services or a tour. 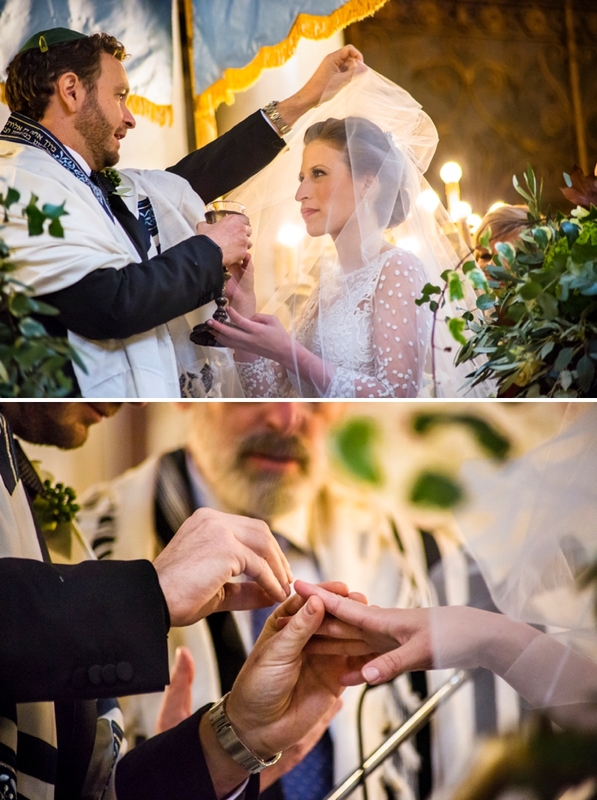 We have continued that habit as a couple (and expanded it to touring places of worship of many other faiths, too), so the idea of getting married in a historic synagogue was something that felt very well-suited. 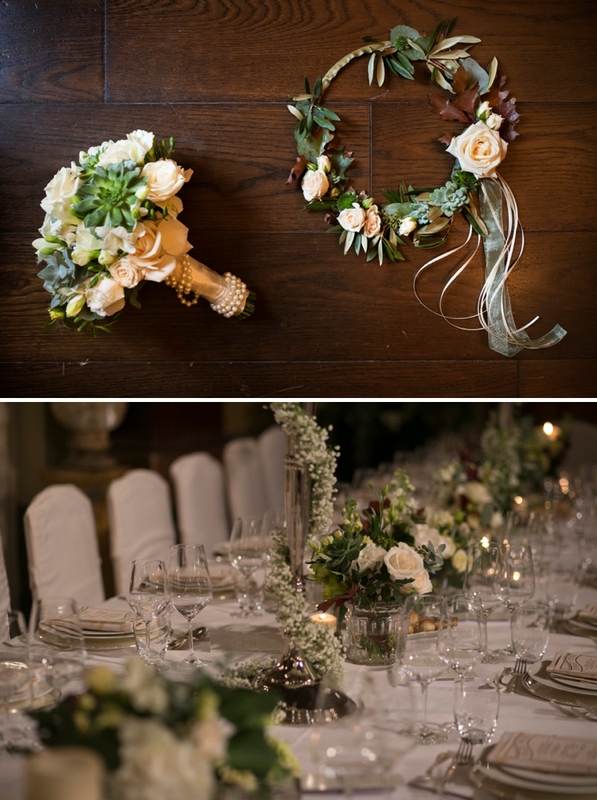 Our colour scheme was dark green, cream, and some gold, and overall we wanted the wedding to look elegant and timeless. My goal in selecting from various options was to make choices that I would still love and stand by in twenty or fifty years. So, I tried to shy away from anything too gimmicky or trendy in my effort to avoid the equivalent of the puffy sleeved wedding dresses or overly-teased of the 1980s or the high-necked, frilly bridesmaid frocks of the 1970s that are cringe-worthy in retrospect. We used Brenda at Italia Celebrations and absolutely loved working with her. 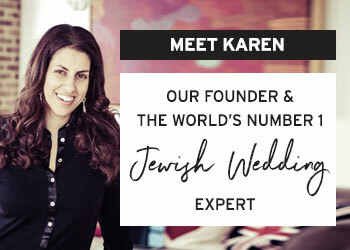 She was a fantastic communicator and wonderfully organised, which was very important to us as planning a wedding from across the Atlantic Ocean has the potential to be a nerve wrecking experience. Of equal importance was that she had a great sense of style, so we trusted her opinions and knew that the “final product” would be gorgeous, tasteful, and elegant. Finally, she was particularly deft at dealing with family dynamics that inevitably arise during wedding planning and managing different personalities, which relieved us of a lot of stress during the process. 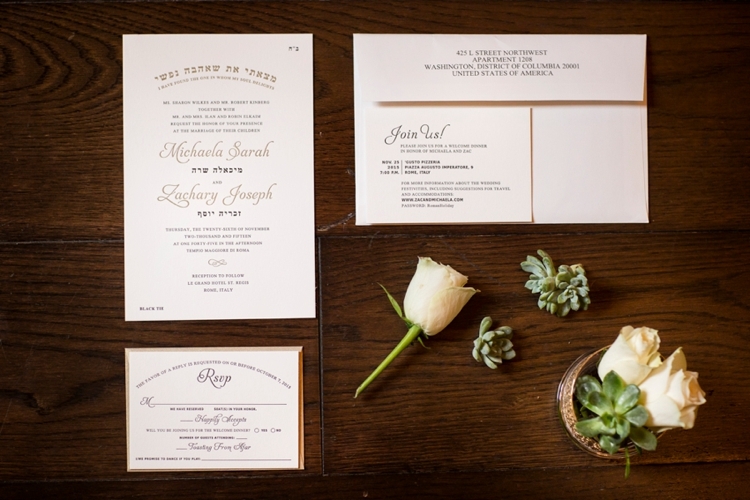 Our invitation was custom designed with Typecase Industries (TCI). We loved working with them because they’re wonderful people but also because it’s a female owned and operated business that prints everything in our city, Washington, D.C. TCI was fantastic to work with because they were incredibly patient as we got all the wording (including Hebrew that wouldn’t seem to transmit in the right direction or with the letters in the right order via email!) and design exactly as we wanted it. 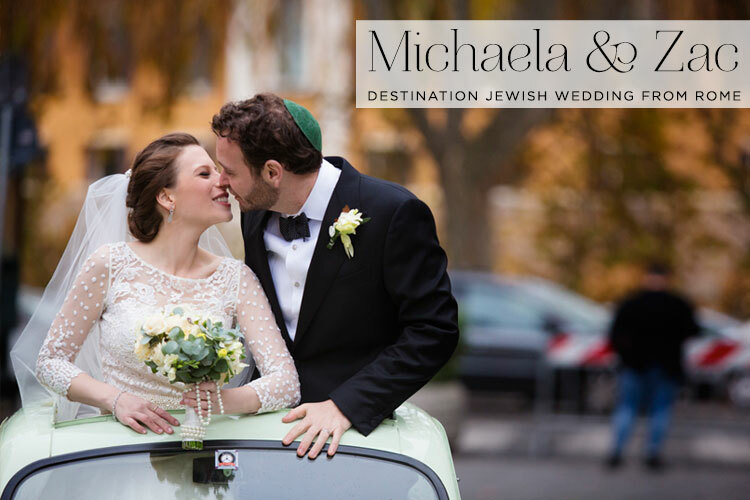 We went the custom route because we wanted something beautiful, but it was also important to us that we incorporated Jewish elements like our Hebrew names and a quotation from Song of Songs. Brenda has this wonderful makeup artist and hair dresser that made me, my mum, and my bridesmaids look our best. I wanted something that was classic, natural, but with a 1960s twist. I love the look of false eyelashes in pictures (they really make eyes pop! ), so I picked up Makeup Forever lashes for me and all the bridesmaids. My mum was a fashion designer for most of her life (until she went to law school several years ago), so I always knew she would be designing my dress. Nevertheless, we still went to a few bridal boutiques in New York City just in case there was something out there that was absolutely perfect or could be lightly modified to be perfect and also because I had never tried on a wedding dress before and had no idea what I really wanted or what I felt looked good on my figure. I went in thinking that all I wanted was a Jenny Packham or Jenny Packham-like 1920s/1930s style gown. Though I had fantasised about an unstructured but highly ornate vintage-style dress for years, my abstract judgment ended up to be totally incorrect! When I put them on, although they were beautiful, those dresses ended up feeling like any other gown I’ve worn or could wear for a black tie event (obviously in a different colour, though). When I tried on an Oscar de la Renta ball gown in silk faille, I realised that this was the one day in my life during which I could wear something that was totally, utterly, and undeniably bridal, and I should take advantage of that. Then, I tried on a Reem Acra with a beaded low-back bodice and a ball gown skirt with a train. Those two dresses completely sold me on going with something ubiquitously and timelessly bridal. However, neither dress was appropriate for an Orthodox service, and any modification would have interfered with the integrity of the original design. After that, my mum set out to design me a ball gown according to the following needs and desires: I wanted something that could be modest enough that I didn’t feel disrespectful in the shul, but I also wanted to be freed of sleeves (and have a low back) for the reception so I could dance and celebrate; I loved the idea of a train, but I didn’t want to be lugging around a huge bustle all night or have to change; I loved silk faille and lace with a beautiful, feminine repeat, but I didn’t want it to be the Chantilly lace you see on every other bridal gown. The ultimate gown was a plain low-back silk faille ball gown in off-white. For the ceremony, I had a pearl belt with an 8-foot train attached to it in the same silk faille and I wore a lace topper with a boat neck, three quarter sleeves, and buttons down the back. For the reception, I took off the topper and train and wore a custom belt. 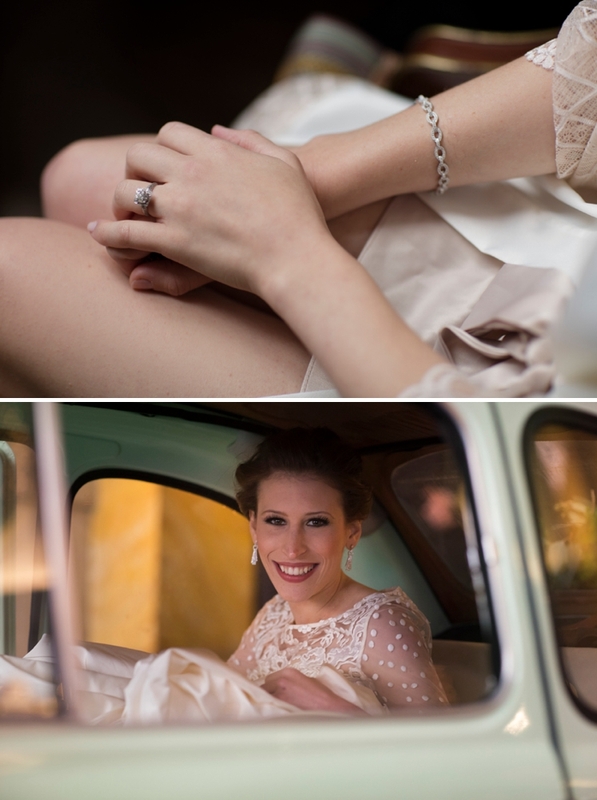 I wore a cathedral-length veil, which was attached with a Halo & Co. pearl and crystal comb. The veil was actually put together by my mother and a close and very talented friend of ours who worked at several fabulous French fashion houses. Here’s the kicker–they were sewing and cutting it the night before the wedding after the welcome dinner in my mum’s hotel room. We got a bit preoccupied with other details and that ended up falling to the end of the list. I was originally going to wear a fingertip length veil, but once I put on the dress and they were measuring the veil, everyone agreed that cathedral length was prettier and more dramatic. Though putting it together the night before the wedding was somewhat stressful at the time, it was one of those fun memories that I’ll look back on. I got my “something borrowed” diamond bracelet from Zac’s long time family friends who own Ungar & Ungar jewellers. My earrings were also from Ungar & Ungar and were a gift from Zac’s parents upon our engagement. It was important to me that I wore the earrings for our wedding because they signified an official welcome into the family in my mind. My headpiece for the reception was a last minute purchase from a Jenny Packham sample sale in New York. 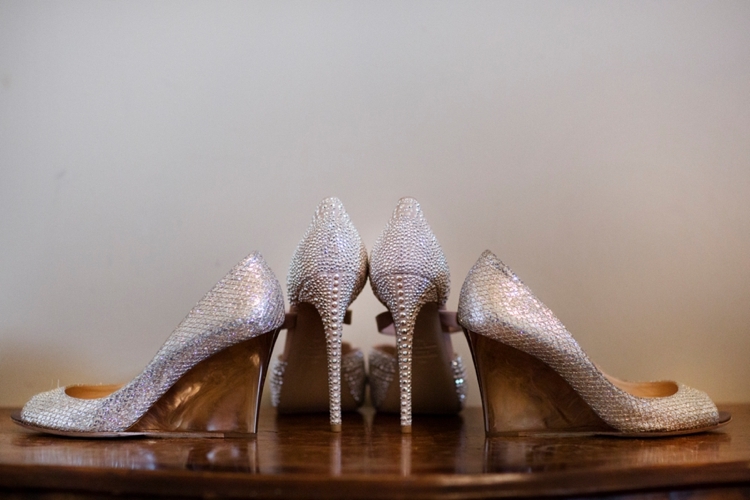 I wore Valentino crystal encrusted Mary Jane’s in blush for the ceremony. I spotted them on a list of wedding shoes right after we got engaged and had been on the hunt for them or a pair I liked just as much ever since. A once-worn pair popped on eBay several months into my search and I grabbed them immediately! They were super high (but had a platform, so they were reasonably comfortable), so I knew that I really couldn’t wear them when taking pictures around Rome and walking cobblestone streets. I considered going with a pair of ballet flats, but I didn’t want my dress, which was hemmed for the Valentinos, to drag. So, I found a pair of Jimmy Choo peep toe wedges in champagne that I wore as my “swing shoe” for pictures after the ceremony (I also wore them for the welcome dinner). They ended up being so comfortable that I never switched back! Zac wore an Ermenegildo Zegna tuxedo (Italian, of course). In what started as a joke, he actually would not let me see him in it until the wedding because he felt it would be unfair if I could see him in his outfit but he couldn’t see me in mine. His bow tie was from Neiman Marcus (we searched everywhere for something that would be distinct from the black bow ties the groomsmen wore, but also not too loud or fussy), and his pin dot suspenders (braces) were from Drake’s. I bought him a set of cufflinks and tuxedo studs from David Yurman because I wanted him to have a gift from me (since he got me these pretty rings!). I liked the idea of buying him cufflinks particularly because they are something that he can have forever and wear regularly with his suits. 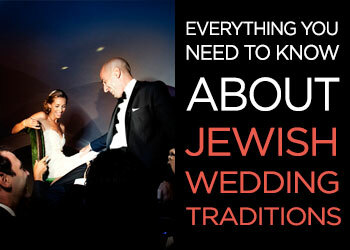 Zac and I share a strong love of Jewish tradition and have always wanted a full Orthodox service. Zac is Sephardi and I’m Ashkenazi (now I’m Sephardi, I guess), so we liked the idea of the Italki nusach as a middle/neutral ground. The Roman Rabbinate is quite strict and we decided to respect that, and we’re happy that we did. The music performed by their choir during the service was gorgeous, and we had the honor of the Chief Rabbi of Rome performing our service. The only two things that we added was hakafot (circling) because the tradition was meaningful to me, and Zac stepped on a beautiful Murano-style dark green and gold glass, which we have used in a Joy Stember mezuzah that was a gift from Zac’s cousins. We love that we’ll have a regular reminder of the joy we felt on our wedding every time we reach up to kiss the mezuzah as we walk into our home. Our ketubah was signed in a brief private ceremony in a side room after the procession while the guests enjoyed music from the choir. When we started shopping for a ketubah, we decided that we wanted something that would be a work of art that we could display on our walls for the rest of our lives. We chose “Dancing Waves” by Danny Azoulay because we liked the symbolism of the design, which is two individuals coming together with their unique qualities and characteristics to form a greater and more beautiful whole, and we also loved that it had the same quotation from Song of Songs that we used on our invitations. The synagogue provided our chuppah and Brenda wonderfully co-ordinated with Noosheen to decorate the bimah with flower arrangements. 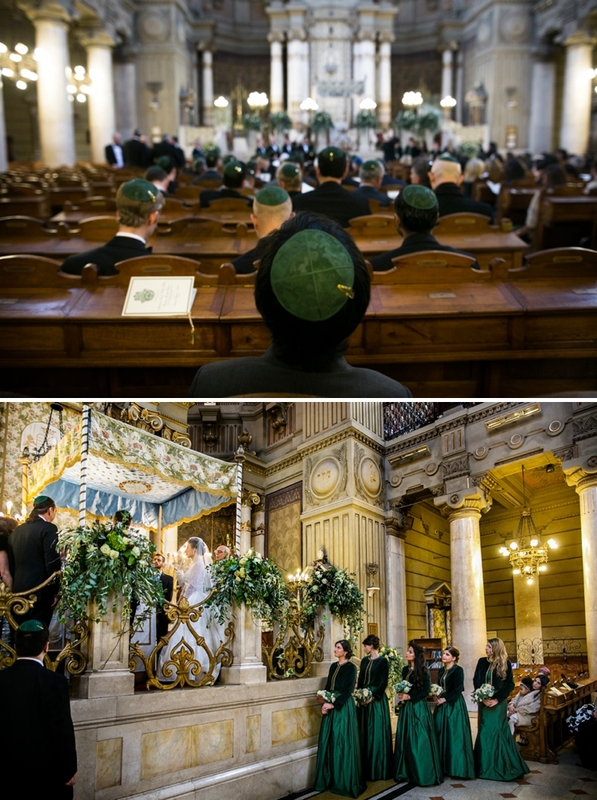 When we were discussing decorations, I had mentioned that wanted our guests to enjoy the beauty of the synagogue itself and not distract with too many flowers or decorations. Brenda and Noosheen perfectly executed that vision–the floral arrangements were a beautiful complement to the architecture and sanctity of the space. 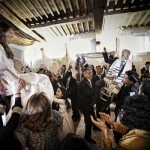 Processional and recessional were all chosen by the synagogue’s choir. Our first dance was The Very Thought of You which was performed in the style Nat King Cole did it by our wonderful band, Benny and the Mazel Tov Band. I had four bridesmaids and my oldest childhood friend (our mothers met nursing us on the beach) was my maid of honour. 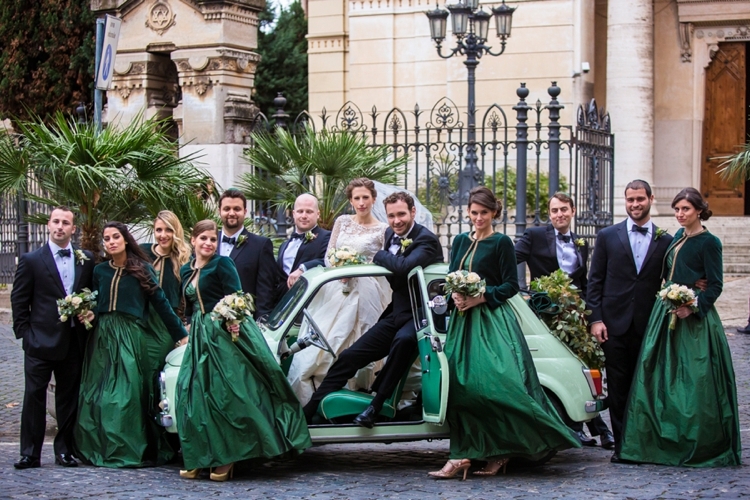 I wanted something that conveyed fall, but also that looked good on the varying skin tones of the bridesmaids, so I chose the shade of green for the silk taffeta and the velvet for the jackets for the synagogue. Everything else was up to them and my mum because I wanted them to come away with gowns that they could wear again in the future; most of all, though, I wanted them to feel that they looked their best and were wearing something they loved. To that end, they all worked with my mum so she could design a few options from which they could choose (my madly prolific mother ended up sketching five gown options per bridesmaid), and they all came together and picked out their favourite design for the jacket. My maid of honor was the only one who wasn’t in an a-line dress and she complemented her dress with a special custom belt. Driving around Rome in a Fiat 500! Although the temptation on your wedding day is to go with a super posh car, I was really thrilled that we ended up with the Fiat 500. It felt very authentically Italian, and it was just fun to ride around the city in it as we went from place to place taking pictures. In addition, the driver was wonderfully nice and fun to speak with. Noosheen was the wonderful florist who regularly works with Brenda. As mentioned above, because the venues for the ceremony and reception were so grand in and of themselves, I wanted flowers and dà©cor to complement rather than distract from that. I asked for mostly white/cream flowers with a lot of foliage and some succulents and got exactly that but more beautiful than I ever could have imagined. 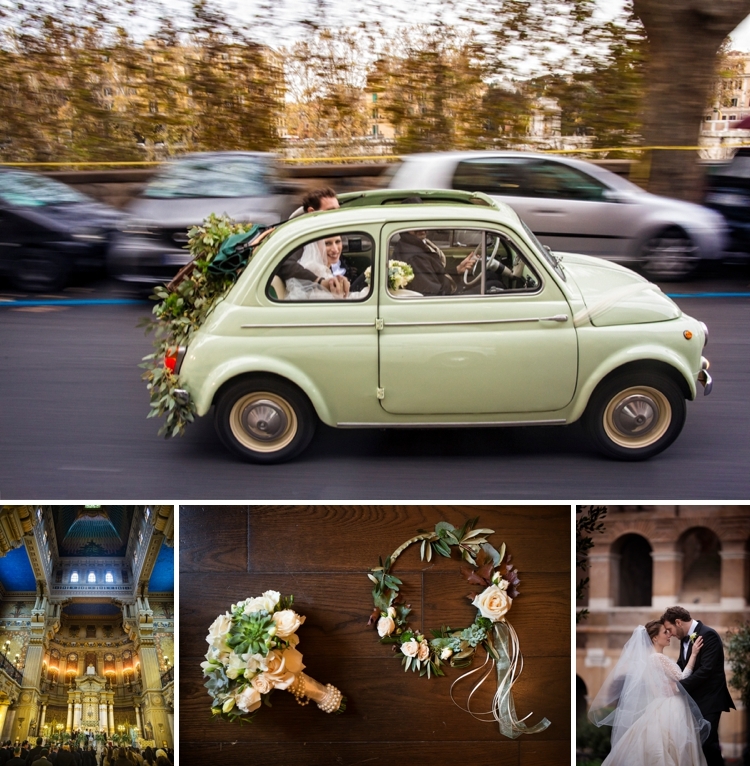 We also loved how she decorated the Fiat 500 we used that day! We used David Bastianoni and Federico from his studio for photography. From the minute I saw samples of his work, I knew that he was the right photographer for us. 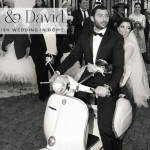 Although the choice is a difficult one among so many wonderful photographers in Italy, very few of them had the skill that David did in doing breathtaking indoor and outdoor shots. 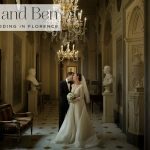 We also chose him because of his versatility–he is able to do gorgeous reportage style photographs, but also just as skilled at artistic shots and posed group pictures. We went with Evergreen for videography. 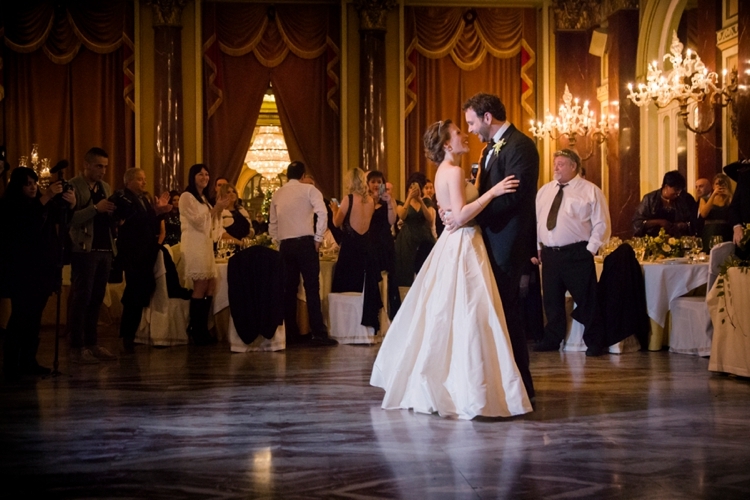 We wanted an artistic rendering that we could watch over and over again as we remembered our wedding, and when we saw Evergreen’s work in Love in Rome (another of Brenda’s weddings), we were sold. As a huge bonus to the skill of both our photographers and videographers, it turned out David and Federico from David Bastianoni Studios and Luigia, Giuseppe, and Amedeo from Evergreen were just as warm and friendly as they are talented. All of them were an absolute pleasure to be around and work with. We know when guests come to Italy, they expect great food, so it was important to us to give them just that. Our catering was kosher and done by Le Bon Ton (LBT), who couldn’t have been more wonderful to work with throughout the process. 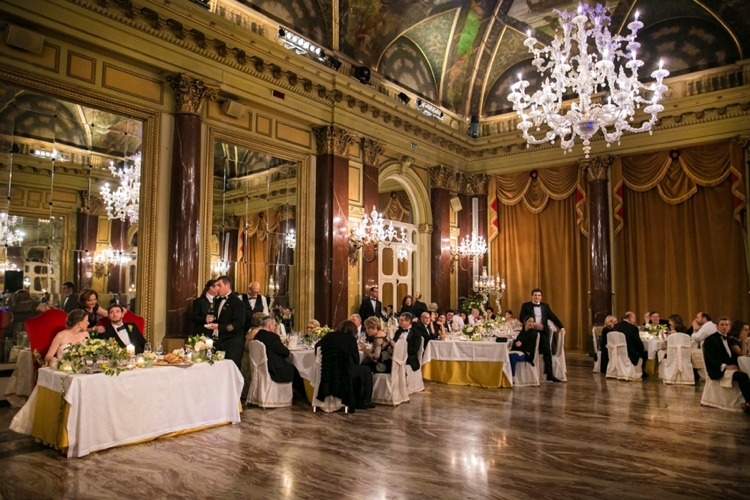 We worked with LBT to select a menu that would represent traditional Italian dishes and that would be liked by all. Zac and I could not have enjoyed the food more than we did (we made sure to eat!) and we were immensely gratified when guests started coming up to us starting from the end of the appetitivo (which featured things like traditional Roman Jewish specialties and the best kosher cheese that I’ve ever had) throughout the night to tell us how incredible the food was. We wanted to keep with the “theme” and do something traditionally Italian for our cake–a millefoglie (otherwise known as a mille-feuille or napoleon). I wasn’t wild about the shape of the super traditional ones, which are usually just a large circle, so I went searching for other alternatives. 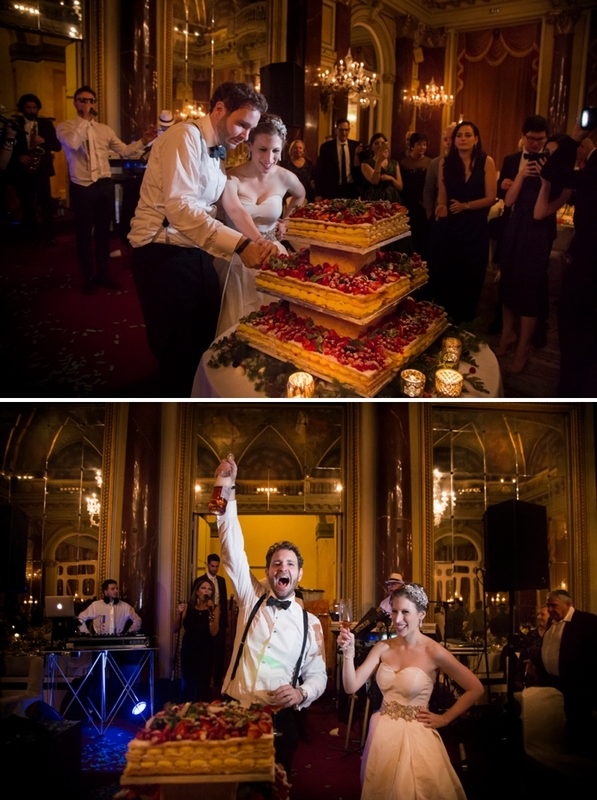 I found one on Martha Stewart weddings that served as the inspiration–but I have to say, Giovanni, the owner and head chef of LBT, absolutely outdid himself and far exceeded the beauty of the inspiration cake I provided. Moreover and equally as important, it was absolutely delicious. Zac and I each devoured our piece, and we are informed by several guests that they had second and sometimes third helpings! Our cake cutting featured a drop of white paper hearts from the ceiling and pink spumante. 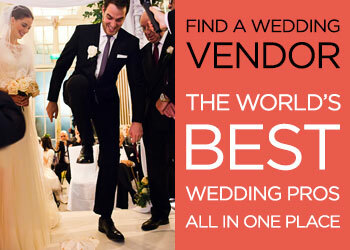 We’re not sure which vendor supplied the hearts, but we loved them! Benny and the Mazel Tov Band were our entertainment. 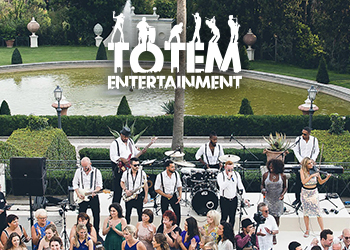 Zac and I had realized from a few weddings we attended that for our wedding, we wanted a band that could play an authentic hora (and not butcher the words of the songs). Our band was fabulous at playing everything from Frank Sinatra, jazz standards, Top 40, Hebrew pop, Mizrahi music, and classic rock. When we saw the length of their song list, we decided to let them get a sense of the crowd and to use their judgment as to what to play, which ended up being the right call. 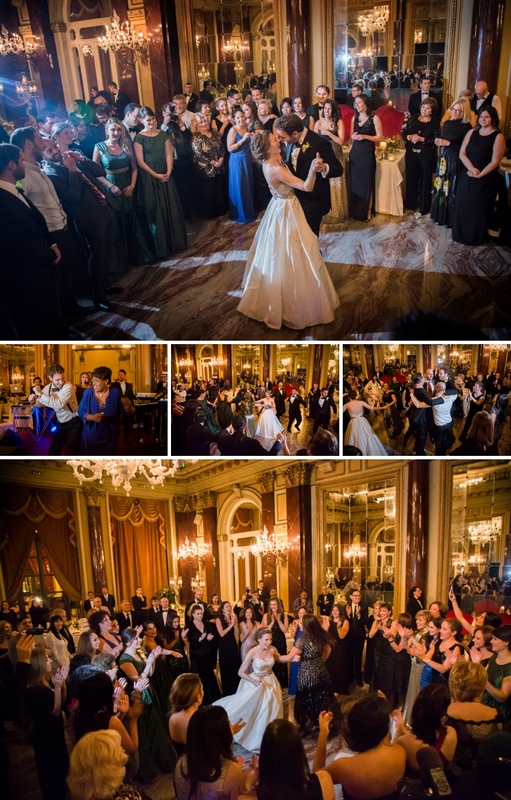 They had the crowd up on their feet dancing for most of the night and played a fabulous hora that ended up restarting for a second round a few hours later! Initially, with the timing of our wedding (call time at 1.45pm for the ceremony), we thought that people would be exhausted and shuffling out around 10pm or even earlier. However, we were so happy that Benny and his band kept the party going until nearly midnight with people begging for more after their last song! 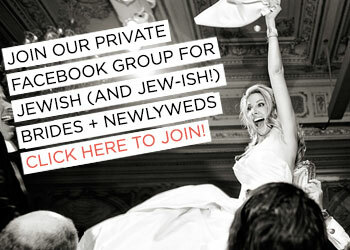 We were so happy that people had a good time and that Benny and the Mazel Tov Band set such a good tone for the party. As a side note, we were blown away that the band played with almost no break from 4.45pm to nearly midnight. Because almost all of our guests had all traveled to join us to celebrate, we felt it was important that we acknowledged it with the favours and a welcome bag. 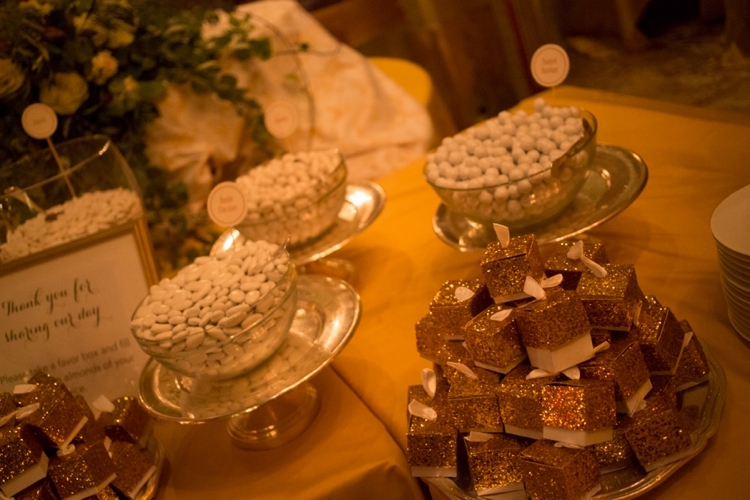 We selected a few flavours of Jordan almonds and allowed guests to fill little gold glitter boxes with them to take home at the end of the night. We liked this idea because Jordan almonds in Italy don’t taste like Jordan almonds anywhere else, and also because it gave guests the freedom to decide their own flavours. We also provided welcome bags at the welcome dinner the night before the wedding (it was at Gusto Pizzeria which is part of a food piazza). In creating the bags, we wanted to provide guests with things that were ubiquitously Italian rather than going for the more typical (at least in the US) bottle of water, aspirin, snacks, tissues, etc. Included in the bags, which Brenda and her lovely assistant Chiara put together, were two bottles of Italian soda (with unique flavors like cedrata, chinotto, and arancita amara), an Alessi bottle opener with which to open the soda, and a bag of gianduiotto from Torino along with a note from us. My mum surprised me at our welcome dinner with a glove leather clutch she had custom made and beaded that depicted Zac’s and my beagle, Loki. He’s a major part of our lives and Zac and I are unabashedly obsessed with him. He even has his own Facebook page. We were disappointed that he would not be able to be involved in our wedding, so this was the perfect gift. Behind Loki’s face, of which she had be surreptitiously taking pictures for months during visits to our apartment for months to get the perfect angle, all of the cities and/or countries in which we had spent time together as a couple are listed in gold lettering. The back of the bag has Loki’s name over and over, separated by stars, along with our hashtag (also a tribute to Loki) #makingitlegalforthebeagle emblazoned across the centre. I later found out that my mum had involved all of my bridesmaids in covering for her when we were in New York for fittings and she would have to make “a quick run to this trimming shop or that fabric store” and was actually meeting with the beading company and buying supplies for the clutch. One of my bridesmaids also carried it over to Italy for her. As yet another tribute to Loki, our flower girls carried little beagle stuffed animals in addition to their flower hoops. We hadn’t planned on them actually carrying them down the aisle (they were just gifts to thank them for being flower girls), but neither would let them go and we just went with it. My biggest piece of advice is to get a planner, or at least a day of coordinator. I’m naturally very type A, so it was helpful to have someone who I could trust to make everything go off without a hitch who also kept telling me to not worry about things and to go enjoy myself. In addition, if you can, do as many of the big things as far in advance as possible. My mum and I and my now mother in law did a girls’ planning trip to Rome for nine days. This might seem like a lot of time, but it allowed us to comfortably visit a lot of venues, speak to a bunch of vendors, and get to know Brenda. 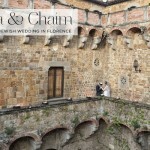 The benefit of this trip was that by the time we got on the plane to return to the U.S., we felt comfortable that our venues, flowers, band, caterer, hair and makeup, and welcome dinner were either totally settled or well on their way to being settled. That meant we had many months to work on smaller details with Brenda via email and Skype. 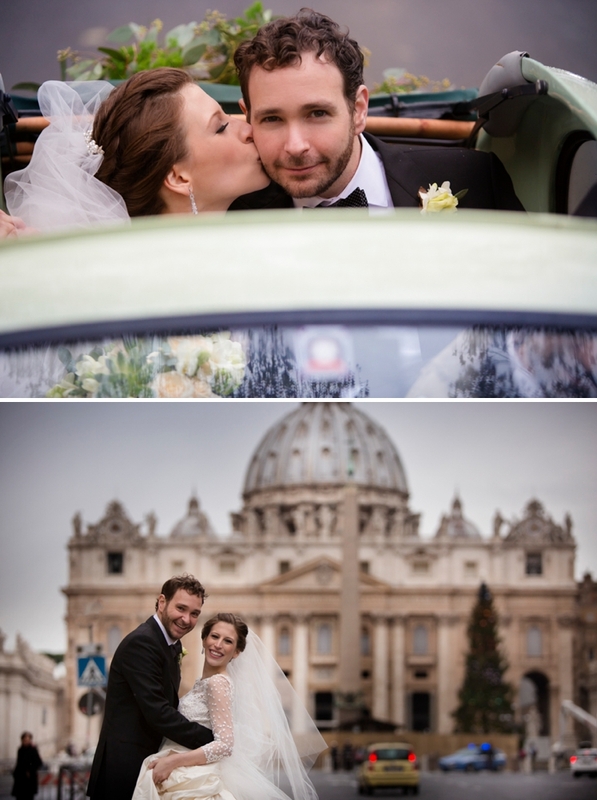 Looking back, we were grateful to avoid making some of the bigger decisions on faith and pictures or leaving it to the week before the wedding when we were trying to spend time in Rome with our friends and family from all over the world. Tanti auguri to a wonderful couple. 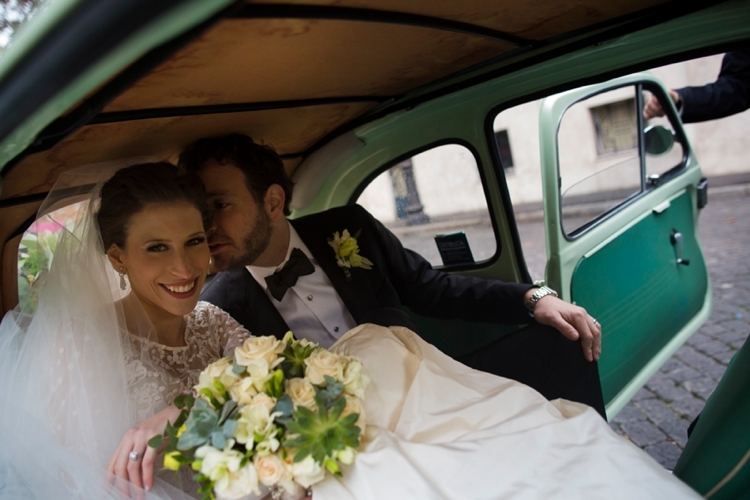 It was an honor to be a part of your wedding in Rome. Thank you Michaela and Zac. Many thanks for your words. As Brenda says, it was an honor to be part of your wedding and is a privilege to have met two special people as you are.